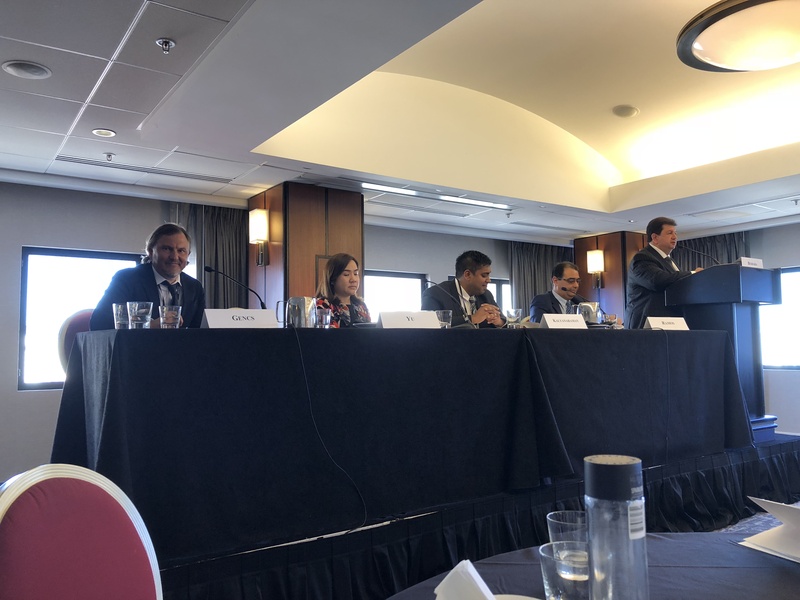 Our managing partner Valters Gencs gave a presentation on immigration to Latvia, Lithuania and Estonia in the GMS – AILA American Immigration Lawyers Association organized NATIONAL CONFERENCE JUNE 2018 in SAN FRANCISCO, THE GLOBAL GOLD RUSH: INVESTOR VISAS AND CITIZENSHIP OPTIONS. 175 participants attended the Conference and it was held in the prestigious JW Marriott, finishing with a cocktail reception on the 21st floor, overlooking the bay area. The presentation, among other things, covered how to obtain a residency permit or the so called Golden Visa in Latvia by purchasing real estate, the value of which is at least 250 000 EUR. It was compared with other options of obtaining a Schengen (European Union) residency permit as being at least twice as inexpensive when compared to those in Spain, Portugal, Cyprus or Malta. The threshold for receiving a residency permit in Spain and Portugal with the purchase of real estate is 500 000 EUR (buyrealestateinspain.eu). In Portugal, however, various discounts apply depending on where the property is located and the possibility to obtain a Portuguese citizenship exists 6 years after the purchase of real estate. The passport of Cyprus may be obtained by investing 2’000’000 EUR in Cyprus securities. Passport is issued 6 months after the investment is made. The passport of Malta may be obtained by making a 650,000€ pledge to a government backed fund and investing 150,000€ in Maltese Government bonds, on top of that, a property must be either bought for at least 350,000€ or leased for over 16,000€/year. All three of the points are COMPULSORY. Passport is issued after 12 months. The option to obtain a residency permit in Latvia, is a lot less expensive than the other options and gives the possibility to receive a Latvian passport 10 years after the residency permit is granted.